Previous PostStop now, what’s that sound, everybody guess what’s going onNext PostThe East Cannon River Trail is now paved. However, it’s a dead end, one-mile trail. “Advisory Task Force”? A press release? Are you guys serious? This is one of the funniest things I have heard in a long time. Who are you advising? Not Rejoice!, Not Dundas. Maybe you are advising each other. I wonder about the outcome of the legal procedings. It seems that if there was significant evidence within the lawsuit, the judge would have allowed an injunction against Rejoice! to stop their work. Since this wasn’t allowed, I wonder what effect the lawsuit will actually have? No one has produced any document establishing the preservation of the interior as a covenent of the original purchase. In the research I have done, that would be the only binding agreement that Rejoice! could have broken. The rumor that I heard is that the appeal won’t be decided for months and if the petioner’s wanted an injuction, they would have had to put up a bond. Not sure if that is true. I personally think the appeal is a waste of time and money. Even if the court agrees with the “task force”, (I crack myself up everytime I say that) what is the remedy now? As for the “task force’s” (LOL) offer to drop the challenge, why would Rejoice! even consider it. One question I do have for the “task force” (LOL) is who is going to buy back the items that were sold? Is the “task force” (LOL) making offers to purchase items with Rejoice!’s money? As for the “task force’s” (LOL) offer to drop the challenge, why would Rejoice! even consider it. Perhaps because it’s the right thing to do, to the former members of Holy Cross and to the community. They’ve certainly moral highground many times (calling an octogenarian who didn’t want her grandfather dug up a “force of darkness). How about actually showing us the “Christian” thing to do? Even if they were in the legal right, they should still be open to compromise. I don’t understand how preservation is the “right” thing to do. If even the owners of Holy Cross didn’t want to preserve the building, what moral principle requires Rejoice! to preserve the contents of the building for those owners or for non-Holy Cross people? As far as “compromise”, the anti-Rejoice! folks haven’t offered to give up anything. 1. As a church, they get special treatment: most critically, they don’t pay property taxes, despite being a drain on city services. Socially, we should hold them to a higher standard. 2. It’s a break of trust. What Rejoice has done has broken trust of the congregation of Holy Cross. Fundamentally, there’s a reason why Holy Cross would want to sell to another church rather than to, say, a movie theater chain. They had an expectation that their church would still exist. Instead they got something with the aesthetic of a chain cinema — complete with highway focus and parking lot in front — and the sanctuary they loved destroyed. 3. They have offered to compromise. From the press release: “The Citizens group has offered to drop the case in the Court of Appeals if Rejoice! agrees to restore the historic sanctuary.” This is not getting their way: half the city block will still be paved over in a parking lot, and the big warehouse of a new building will still aesthetically dominate the neigbhorhood. But the sanctuary that has stood for over 100 years will continue to be as it was. This compromise should be pretty valuable… it took years for St. Olaf to decisively beat down SaveWCAL in court, in a similar Goliath vs. David situation. Why would Rejoice want to do this, when they could simply agree to restore the inside of a beautiful little church? If you look at the purchase agreement, there was nothing promised by Rejoice! to preserve anything on the former Holy Cross property other than what is covered by the National Registry regulations. Building interiors do not fall under the protection of these regulations. The trust that was broken was broken by the former pastor of Holy Cross. To force Rejoice! to restore something they never promised to preserve in the first place, by order of a court, smacks of violation of the separation clause. I mean, at the core of this, none of is a judge. I guess David is a lawyer, but the rest of us have no legal education, far as I know. I hope for the sake of the Advisory group that Rejoice has a legal obligation to preserve the building, but I have no solid idea if they do. The purpose of this kind of a conversation is not to determine their legal obligation: it’s to determine their social and community obligation. I very strongly believe that the congregation of Holy Cross understood a benefit of it being sold to another church that it would be kept as a church. They have a right to be upset when Rejoice doesn’t meet that (social) obligation. It is a reasonably expectation that, when a church building being sold another congregation, that it will be desecrated. In terms of community judgement, we don’t need to be pedantic about legal details. The courts will determine that. For me as a community member, though, the sense of right and wrong in this situation is quite clear. Sean- So, do you believe that all churches should be alike? Do you believe they all should use organ music for worship? Do believe they all should sit in wooden pews that cannot be moved? In this case, do you believe it is “right” to require Rejoice! to completely change its whole service format so as not to offend the former members of Holy Cross? Hmmmmm. Freedom of religion? 1. Since when is a church a drain on city services. I contend that churches provide social service that a city could not afford to provide themselves. 2. I think the real disconnect here that Rejoice!’s priority is it’s congregation, not to a congregation that no longer exists. Rejoice! has no obligation, beyond what was in the purchase agreement, to the formal congregation. Morally, they have done nothing wrong. 3. Sean, you are a smart guy. You know that compromise can only occur when both sides have leverage. In this case, the task force (lol) has none. The appeal has not stopped the construction. The appeal is nothing more than a symbolic gesture at this point. 4. As for dragging this out in the court system, I suspect that the task force (lol) lacks more of the funds to do so than Rejoice! As for restoring the inside of the church, it is not a museum. It is a house of God. It was not built for ice cream socials or to hang relics in. The focus should be on God and not the relics. It seems that the task force (lol) has lost focus on what the true intention of the building is. Sean- Of course Rejoice! has no intention of using the former sanctuary as a worship hall. That is the whole point here. The thing I find objectional is the expectations of the former congregants that the building be only used as a museum for the former church at the expense of the Rejoice! congregation. According to the directives I have found in the NHR documents I have been able to find is that it is encouraged that original interiors be left in their original state, but that the directives do not limit new owners from changing the interiors to fit with new uses or code requirements. I have the links in the other thread on this subject. I would suggest perhaps that you view “the image” again that you posted in 4.2.4………….it does not show the sanctuary being used as offices at all. It shows “existing offices”………the old sanctuary is not being used as offices at all. It is being used for worshipful prayer services, Christian education, youth meetings,and special services such as weddings, baptisms, etc. So when the comment is made also that the church should have remained a church? Well……it certainly is STILL a church. As for social and community obligations……..Rejoice! is definately meeting those areas. Rejoice! will be a blessing to have in this town and in this neighborhood. It has, indeed, already blessed people. I also am a long time member of this community…..and also a close neighbor to the church. I welcome the building with excitement at what the future holds! Cindy, you’re right: apparently, I confused the fellowship addition with the stone church (which is not shown in most of the drawings). Then again, if they intend to use it as a worship space, why not agree to the TF’s deal and restore it? Sean- That would work if we all worshiped alike, with fixed pews, pipe organs, etc., but the fact is we do not all worship alike. Having flexible seating in the old sanctuary fits Rejoices’s worship style, and I think we need to allow them the freedom to arrange it as such. I just wish the dog statue would come home. I wish it would too!!!! It’s been a long time now since it disappeared………..
0. Raymond, the (lol) thing is not helpful to the dialogue. 1. Churches are a “drain” not on the community but literally the services. I don’t mean that churches are bad for a community — though I’m skeptical that this would-be-megachurch is as good as some other churches. However, ALL churches (and nonprofits) are in a literal sense a drain on services. They benefit from fire protection, police protection, etc that they do not pay for. The same is just as true for the colleges in Northfield — they are an asset to the community, but they are a drain on the municipality. 2. I agree that Rejoice is very concerned with its congregation, but the absolute stubbornness on the current matter seems to be more eagerness to fight the “forces of darkness” than to really act in the interest of everyone concerned. So they’d have to raise a few more bucks in their building campaign to make the sanctuary restoration happen; this doesn’t seem impossible. In addition to reviewing the inventory form, I spoke with the National Register Historian, Susan Roth, and she confirmed that it is the legal description noted on the form that defines the area of historic significance. The legal description is at the top of the page and is listed as follows: Lots 8, 9, 10; Original Plat of the City of Dundas. When the legal description is combined with the property description, that indicates what in included on the National Register. Please note that the landscaping as well as the church furnishings, imported from England by the builders of the church, are included in the description. As for the Parish Hall, it is mentioned at the end of the second paragraph. Even though the Parish Hall was less than 20 years old at the time the property was nominated to the National Register, nomination notes that it is a sympathetic addition to the building. Today, we would say that the addition is contributing to the historic property. 0. If they change their name, I will stop laughing. 1. Fair enough. I see your point. 3. This where you and I disagree, which is OK. I don’t believe they are right. But for the sake of the debate, lets say they are. What legal remedy do they have? The court can’t force the people who bought the relics to return them. The construction has already begun. I just don’t see any legal remedy for them, therefor they have no leverage. In addition, the appeal is about the EAW, not restoring anything. Based on their press release, they have finally come clean on what they really want. The whole thing had nothing to do with an EAW, it is all about some people with hurt feelings. Clites made a solemn promise to Holy Cross members that their sanctuary would be kept intact so that it could be available for weddings and funerals. In our family, a man’s word is sacred and can be trusted. Helen- I’m wondering to whom a promise was made “to keep the sanctuary intact?” I’ve talked to pastor Clites, and, if I’m remembering correctly, the offer made was for your church members to use their facilities free of charge for any services you might want to have there. Since I am not a member, I cannot say “officially” that this was the offer. Most churches have some nominal charge for uses by non-mmembers. My concern is that the inference of any preservation of the sancturary was an inadvertant assumption made by someone along the chain of communicators. I really don’t think there was any intent on anyones’ part to twist information or intentionally mislead anyone, either on the part of Pastor Marsh, or Pastor Clites, or any of the Holy Cross members. Sean: re 4.2.4 and the term “existing offices” which you say was the designation for the original sanctuary space on the building permit application… If the building permit is approved or denied on the basis of the legal changes that can be made to a designated historic property, it would seem that the description of the sanctuary of a historic property as “existing offices” would be an aberration. One more reason why the building permit should have been denied if the City of Dundas had been aware of , or following, the law… which is indeed their obligation. Our only family members are dead and in the graves, which we rescued from Rejoice with the order from the State of Minnesota. Of course, I have a list of Holy Cross parishioners who were told that their sacred sanctuary would be left intact so that it could be available for weddings and funerals. I would not reveal their names as they have suffered enough anguish from this fiasco caused by Dan Clites, and from the Dundas city officials. Pastor Gayle Marsh is quite aware of the facts. Michelle and Raymond, I’ve removed your most recent comments because they violate the LG discussion guidelines. Please go out of the way to make sure your comments are overly civil. You both have much to contribute. I’m not so worried about you offending each other but rather, that you’re alienating others who want to follow the conversation and even more so, who might want to contribute. I’m not so sure how much of a conversation this is. It seems to me to be a lot of people talking past or through each other, some more tactfully that others! Hi Sean, we’ve never met but I’ve read quite a few of your comments on LGN. Many are very insightful and you seem like a sharp guy. However, I think that you are off base on a couple points in the comments you have made above. 1)Who gets to determine what is the ‘right’ thing and based on what criteria? Many people, possibly quite more than the number of people on the Task Force and contributors to blog comments, believe that refurbishing the old sanctuary and adding an addition on the property is the right thing to do for the community. Rejoice has provided valuable up-keep to the old sanctuary and will continue to do so, adding to the aesthetic value of the building. By removing some items from the sanctuary, the building has been able to be used for multiple weddings, a wake, a place for men to gather to discuss how to be better husbands and fathers, numerous kids events, and as a gathering place for youth in our town who have no where else to do. 2) What are you referencing as the ‘Christian’ thing to do? Being Christian does not equal compromising and making everyone happy in all circumstances. Jesus Christ, from whom the name Christian comes, did not get killed on a cross because he was a great compromiser. I mean this in all respect, could you flush out what you are referencing when you use the word Christian? Sean I’m also curious about this comment in #6 – “though I’m skeptical that this would-be-megachurch is as good as some other churches”. 1) Why do you refer to Rejoice as a would be mega-church? I don’t think that Rejoice is even the 3rd biggest church in town. A mega-church is defined as over 1,000 people. If the goal of Rejoice is to grow that big (which it is definitely not) the Dundas property would be an absolutely horrible choice for a location. 2) Why are you skeptical that Rejoice is as good as some other churches? What makes a church ‘good’ in your eyes? Thanks for your commitment to adding your input to the many things happening in our community. It is clear you want Northfield to continue being a great place to live, as I do too. Hi Helen, it is obvious you feel very connected to the Holy Cross site. I hope to encourage you with a couple things. 1. Let me assure you that wonderful sanctuary is still being used to impact and change people’s lives, as I’m guessing it did yours. Weddings have been done there. So have kid’s Christmas musicals and women’s tea gatherings. The people of Rejoice are so blessed to have such a wonderful space. Thank you for investing so much of your life and spirit into it. The sanctuary is indeed sacred and will continue to be, even though it is not exactly the same as it used to be. By removing the pews my young kids were given a fabulous space to meet God on Wednesday night, in the tradition of the Holy Cross congregation, in the same sacred space, just in a different way. 2. Also, please remember our shared Christian faith based on the Bible reassures us that our loved ones are not in graves, but they are right now risen alive with Jesus Christ in heaven. Cemeteries and grave stones are markers of lives gone by, and they have their place for documenting our shared societal past, but as Christians we do not believe that graves are final resting places, and that believe (which I would assume we share, again based on the Bible) gives us the ability to release such a tight grip on the issue of “grave stone placement” and to join together in celebration of great lives lived in the past and the joyful anticipation for reunion with our loved ones in heaven. Thanks for contributing your voice and passion to the conversation Helen. I wish you the best. B. Various people said they have seen the checks made payable to REJOICE! and showing on their backs that they were cashed by REJOICE! Kiffi- As you know, sometimes the truth comes out a little at a time. In Griff’s original thread about “spiritual darkness,” there were accusations made that Rejoice! did not use proper procedures in requesting the moving of some gravesites. 1)Truth one. Supposedly, one requirement is that the closest relative must be contacted. There was an accusation that they did not do this. It came out on that thread that Rejoice! did in fact contact the closest relative they could find. 2)Truth two. There were accusations that laws were broken. In the discussion, no one produced a link to any specific law that was broken. 3)Truth three. According to the laws governing EAW’s, the responsible LGU is the body who initiates this study. The Dundas city council, the responsible LGU in this case, after public discussion and public motion, voted not to require an EAW. The task force is questioning their decision, based upon their interpretation of the laws. This is rightfully being being brought before the courts, who have final say in determining the application of the laws in these types of matters. The court can decide for or against the petition. Hopefully, and I’m sure depending upon how that ruling goes, that will put to rest the public onslaught against the church renovation. As far as Rejoice!’s comment and cashed checks, this is still just hearsay until the responsible claimants come forth with their own report. Does anyone have an update on what is transpiring with the task force’s lawsuit? Just saw on NN that the City of Dundas and Rejoice! prevailed in the lawsuit. 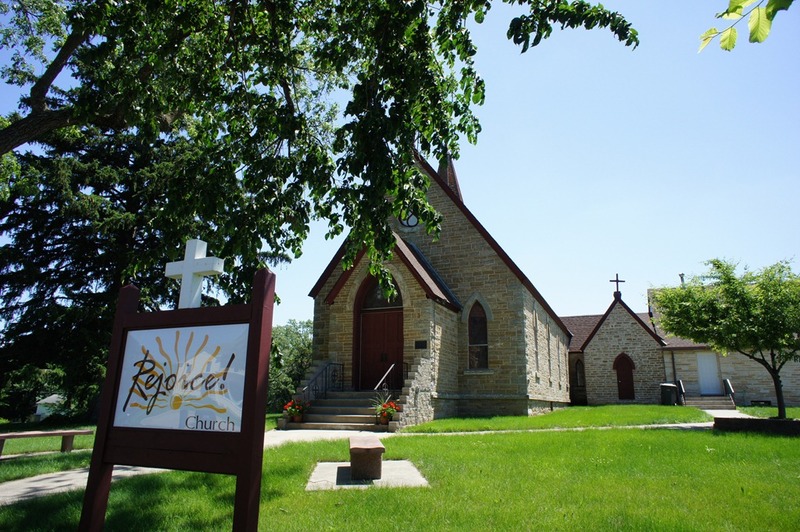 Stephanie Henriksen , a long term supporter of the heritage of Dundas’s Holy Cross Church, as well as a supporter of the lawsuit against Rejoice!, has a letter to the Editor in today’s NFNews … except .. it is not in the News, only on the News’s website. The newspaper did a fairly incomplete job of reporting on the Rejoice!/ Holy Cross issue, usually ‘weighing in’, IMO, on the side of Rejoice! as far as interviews, facts of legal opinion, etc… at least that is my recollection. What governs the choice of what appears on the website or in the print/ hardcopy version of the paper ? might it have anything to do with the connection of city councilor Rhonda Pownell to Rejoice?